It must not be thought that the Church of England was inactive in the village. 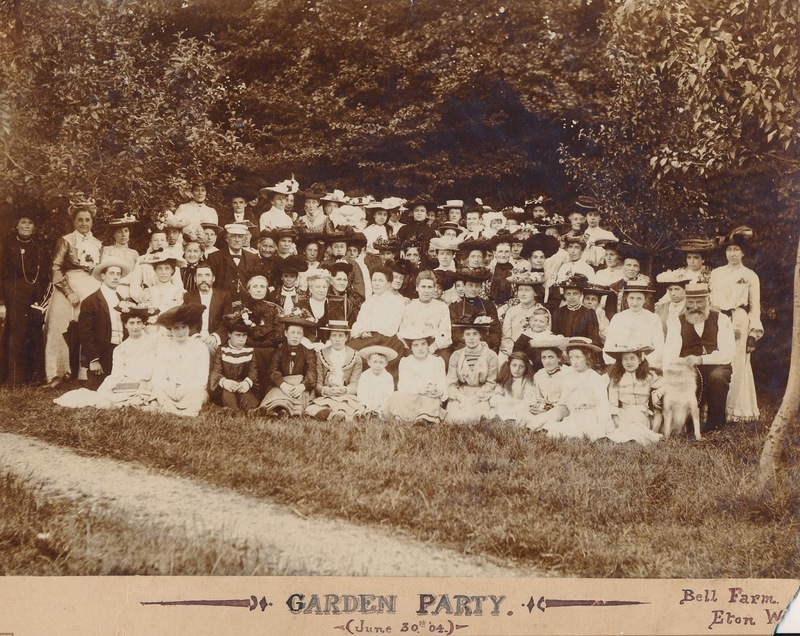 Sunday Services were held and in the 1880s more than a hundred children attended the Sunday School for which there were seven teachers and two superintendents, one of whom was always the schoolmistress. Parish work was now a recognized part of a clergyman's duties and it took a variety of forms. It was usually centred on Eton, but the villagers were included because they were parishioners, and in time successful ventures were often extended into Eton Wick. A few were simply charitable, the richer subscribing to help the poorer. The laying-in charity, which was started in 1866, came into this category. Through it expectant mothers could borrow linen and a first layette from it and were given five shillings (25p) for the doctor's fee and two shillings (10p) for groceries. Mostly, however, there was an element of self-help in each scheme. Probably the first to be set up was the Provident Club, formed in 1840 to encourage the habit of saving and thrift by the Provident Club, formed in 1840 to encourage the habit of saving and thrift by giving a bonus to all depositors who saved for a whole year. The money and bonus had to be spent on clothes, shoes and coals at particular shops. Nearly forty years later this idea was extended, and a Penny Bank was formed in Eton and Eton Wick; though these did not last long for they were being superseded by a Government Scheme managed by the Post Office. Two other ventures were begun in 1866. The first was the Eton Soup Kitchen which was opened on New Year's Day. Broken meats, bread and other leftovers were sent daily to the Kitchen from the boys' Houses in the College, and were re-cooked to form nourishing stews, soups and puddings which could be purchased at nominal prices - not by all comers, but by the poor and needy who had been given tickets by one of the conducts or the parish doctor. By the end of the year the Kitchen had become self-supporting and in most years there was a small balance that could be used to keep the Kitchen open during the school holidays. Before many years passed the conducts were being helped by District Visitors; at first, there were only three of them for the whole parish, but before the end of the century there were five for Eton Wick itself. In 1872 the newly formed Church of England Temperance Society helped to establish the Three Lilies Coffee Tavern as an attractive alternative to the public houses. For the first time in the parish, there was a place where people could meet and not feel obliged to drink alcohol. In 1885 the Eton Wick Branch of the Church Temperance Society was formed with eighteen temperance members, thirty total abstainers and sixty-three children. Both branches worked towards obtaining land which could be used for allotments and three years later the first three acres in South Field were leased from the Crown. No thoughts of freezers acted as an incentive to these first allotment holders, who made time to cultivate them in spite of at least a seventy-hour working week. Poor wages, insecurity of employment, large families and the diminishing size of cottage gardens were sufficient spur. Already a parochial library had been started in the Girls' School at Eton, though in its first year it had only 147 books and the borrowings had to be restricted. The parish schools continued to be an important consideration to the church: every year money was needed and regularly raised by subscriptions for their maintenance, .but as town and all parts of the village grew more money was required. A gallery was built to accommodate the infants in the village school, but still, it could not keep pace with the increasing number of children of school age. There was even talk of refusing entry to newcomers from New Town, and by the 1880’s the schoolroom was so overcrowded as to be 'unwholesome'. No longer could the Government Inspector give a favourable report; this was disastrous for without it no grant would be forthcoming. A new school had to be built; meetings were held, the Provost took the chair and inevitable Subscription Lists were started. The Crown granted half an acre of land and the lammas rights were relinquished. 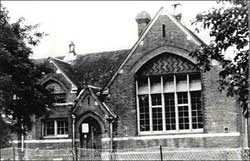 At last, building began in 1888 and by the February of the next year, the children were in their new classrooms - one for the infants and one for the girls. The boys after the age of six or seven went to the Porny School. There was a new schoolmistress, for Miss Wheeler, after twenty years service, was now found unequal to her task under the new Government regulations. School was now compulsory, and as infants' and girls' school it had entered a new phase in its history.